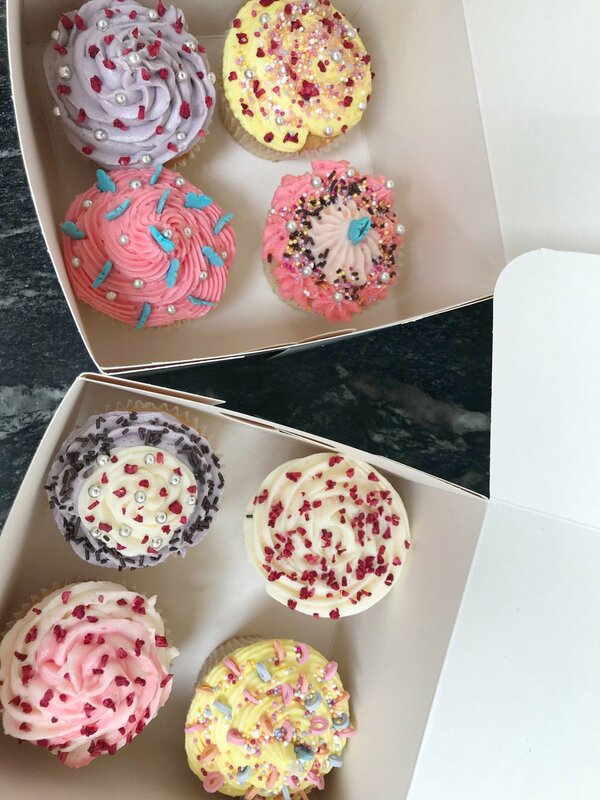 What a brilliant time we had hosting a cupcake making hen party for Bhavini. It was a big group of 20 hens for the hen do, including family and friends from all over the country. They had a great, bonding time learning how to ice and decorate 8 cupcakes each. It was a great cake making ice breaking event and despite the fact that most of the girls were meeting each other for the first time there was soon a great atmosphere with everyone laughing and joking together. Most of them couldn't resist tasting their cupcakes during the class and were thrilled to discover that as they were hand made (by me) they tasted delicious. I even made some vegan versions for those with special dietary requirements. 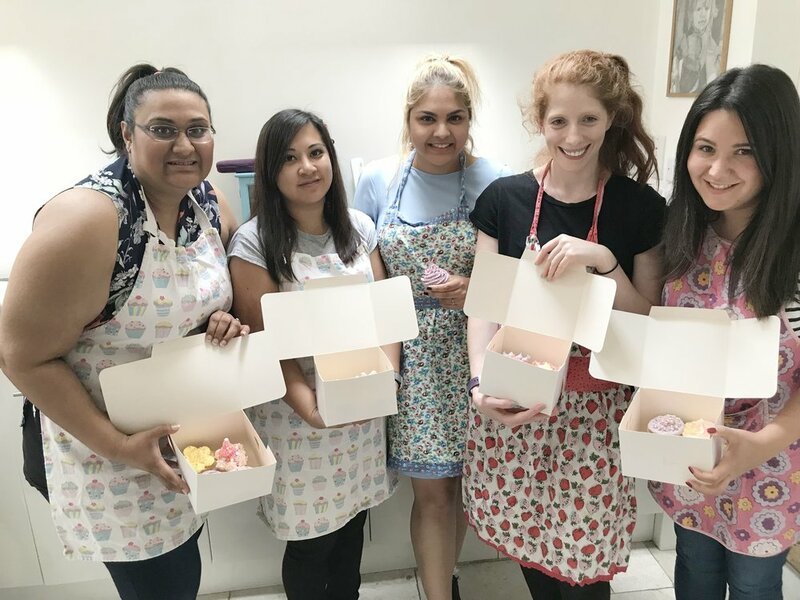 At the end of the cake workshop they were thrilled with there end results and happy to be taking home their cupcakes as well as a fantastic new skill set! All in all they loved there hen activity.